Custom Authentic NBA Jerseys Under $50! Right now you can grab a bunch of custom NBA jerseys for under $50! 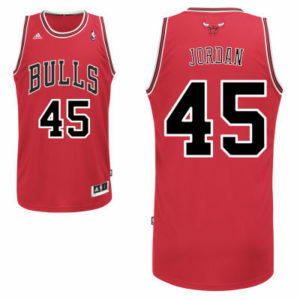 You can even make a Jordan 45 Bulls Jersey for only $37.50. Use coupon NBA50 for Free Shipping on all orders over $50. S/O to @BroadwayJoeClub for figuring out that Jordan 45 works… sorry 23 not allowed!